We were blessed at last with a fine day, for our first meeting of the year, and had a goodly turnout of members, also welcoming people from the Non-flowering Plants group. 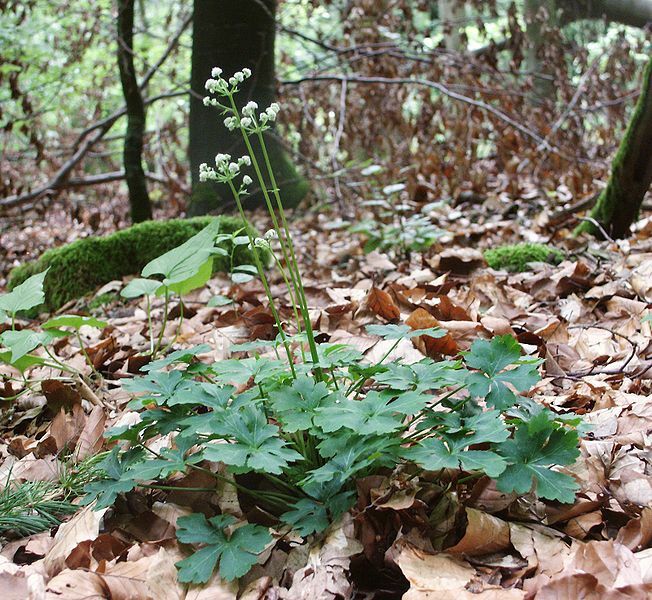 Once we got into the wood - the access lane side had quite a pull for these bryologists - we bypassed the small meadow where Adder's Tongue was recorded in the past, but it's now become very overgrown. 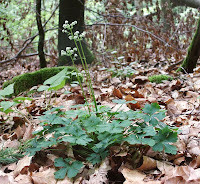 Going west, we recorded such nice things as the leaves of Wood Sedge, Carex sylvatica and Sanicle, Sanicula europaea, which are both typical plants of humus-rich woodland. 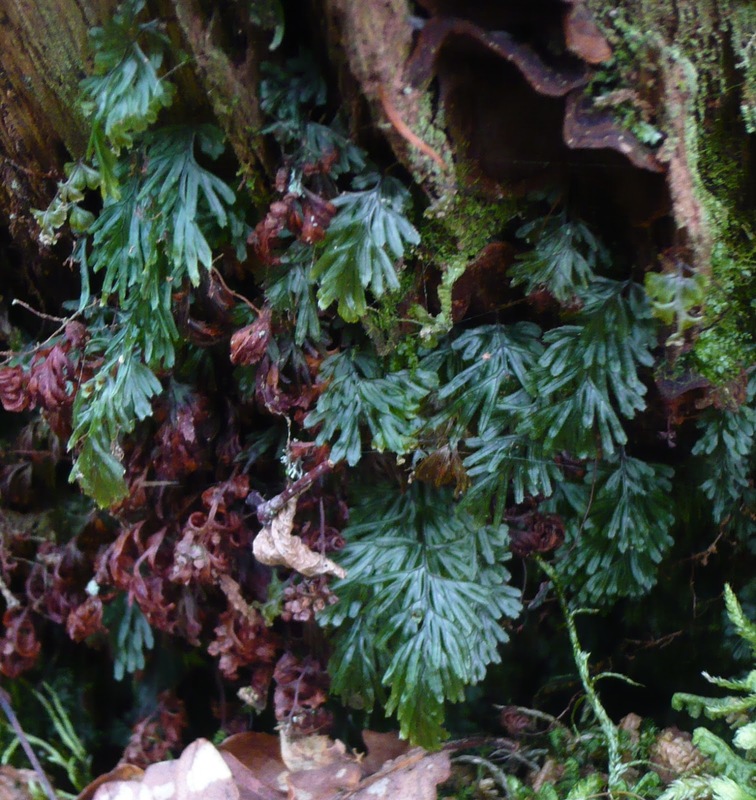 We reached the Nant y Ceunant, "the stream of the ravine", where the nimble Paul Green found Wilson's Filmy Fern, Hymenophyllum wilsonii, on its steep sides. I was anxious to justify my old record here of the Tunbridge Filmy Fern, H, tunbrigense, and Paul duly obliged, finding it growing on an old tree stump. We then wandered back towards the rocky gorge of the Afon Arran, over the bridge by the old mill, and back up the road. 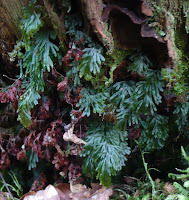 More nice things there, the best of which was Polystichum setiferum, Soft Shield Fern. Thanks to everyone, especially Brian Burnett and his bryologists for coming and Paul for his sharp eyes and recording skills which undoubtedly helped to bring the list for the day to well over 100 vascular plants.